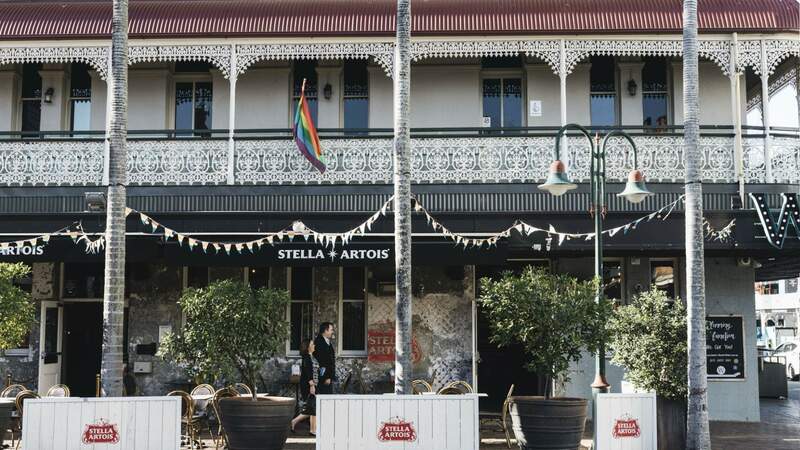 Established 1885 as 'the Oriental Hotel', the Wickham has evolved alongside Fortitude Valley, and this progressive old-timer prides itself on being LGBTQI+ friendly and an enthusiastic supporter of homegrown music acts. Situated in a stately heritage building, the Wickham has four bars, including function spaces and an upstairs club. Recent renovations gave the Corner Bar an industrial-chic facelift while the Garden Bar is a bright outdoor courtyard with plank tables, perfect for folks to relax, share some loaded chips or a pizza, a few cocktail jugs, and maybe join in the regular Thursday night trivia. A daytime street-cafe also means you can grab your pick-me-up take-away. The Wickham is a friendly, trendy watering-hole with regular comedy, live music and DJ events, as well as board games and giant Jenga for true party animals. If you're headed to the Valley, this laid-back and long-loved locale will offer a warm welcome.